Programming lecturer Teh Ah Hock and his office administrator wife, Mrs Julia Teh, both 57, plan to have a long life together. To achieve their dream of a financially secure future, Mr Teh has started making top-ups to their Retirement Accounts (RA) under the Central Provident Fund (CPF) Retirement Topping-Up Scheme. By doing so, he wants to secure higher monthly payouts for both of them during their golden years. 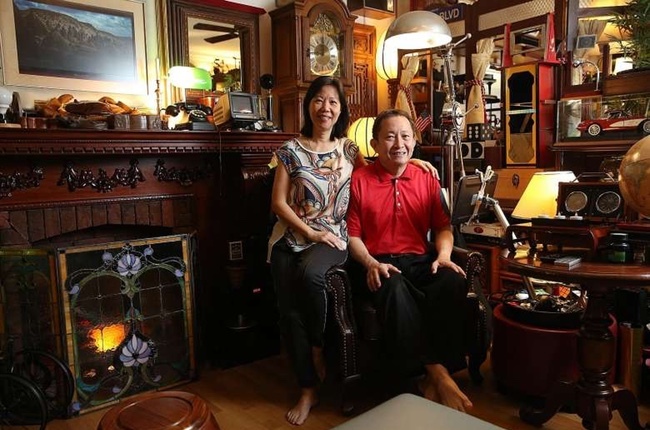 In 2015 and last year, Mr Teh performed top-ups to his wife's RA from his CPF savings. Mrs Teh's current RA balance is $120,600, excluding $60,000 that was deducted as CPF Life premium. When she turns 65, her RA balance will grow to between $156,100 and $161,200, and will also be used as CPF Life premium. She will then receive an estimated total CPF Life monthly payout of between $1,200 and $1,330 under the Standard Plan. The figures are derived based on the interest rate of 3.75 per cent to 4.25 per cent, which corresponds to how CPF Life payouts are derived. Mr and Mrs Teh consider the CPF an important part of their retirement planning. Mrs Teh said the CPF helps them to be more disciplined in saving for the future. Concurring, Mr Teh said: "If you have extra money, you run the danger of spending all of it too quickly, unless you are very disciplined. "The CPF Life scheme offers a higher interest rate than banks do for your savings, and allows the payments to be spread out for life." "So far, I have done two CPF top-ups to my wife. It will be a good if I can top-up more, but I also need to balance what I have and top-up mine too. I hope to top-up as much as possible," he said. Besides topping-up his wife's Retirement Account, Mr Teh has also topped up his own CPF account. In 2015 - the year that he turned 55 - Mr Teh did his first CPF top-up to his RA to the prevailing Full Retirement Sum of $155,000 using his CPF savings. His current RA balance is about $97,000, excluding $77,500 that was deducted as CPF Life premium. When he turns 65, his RA balance will grow to between $125,100 and $129,200, and will also be used as CPF Life premium. He will then receive an estimated total monthly payout of between $1,290 to $1,420 under the Standard Plan. If Mr Teh tops up $83,000 next month, and subsequently makes top-ups to the Enhanced Retirement Sum (ERS) every year in January, from 2018 to 2024 (assuming the ERS increases by $7,500 each year), his RA balance will grow to between $289,800 and $298,300 by age 65. His estimated CPF Life monthly payout will then be between $2,120 and $2,330 under the Standard Plan. The CPF Board does not take interest and bonuses in its computation for top-ups. Mr Teh said he finds it difficult to beat the RA annual returns of 4 per cent. "If you look for higher yields by investing yourself, it will be a lot riskier." He also plans to delay withdrawing his payouts to age 67. But if he is still working at that age, he plans to defer the withdrawals until he is 70. By doing so, he stands to enjoy 6 per cent to 7 per cent more in monthly payouts for each year deferred. It helps that work gives Mr Teh a purpose in life. He said it enables him to "stay alive". He also takes pride in his zero medical leave record and keeps fit by playing squash and taking the stairs. The couple are also looking for an investment property to earn rental cash to supplement their retirement income. They live in a three-bedroom 1,900 sq ft condo in the east, and have three children who are aged 20, 23 and 24.